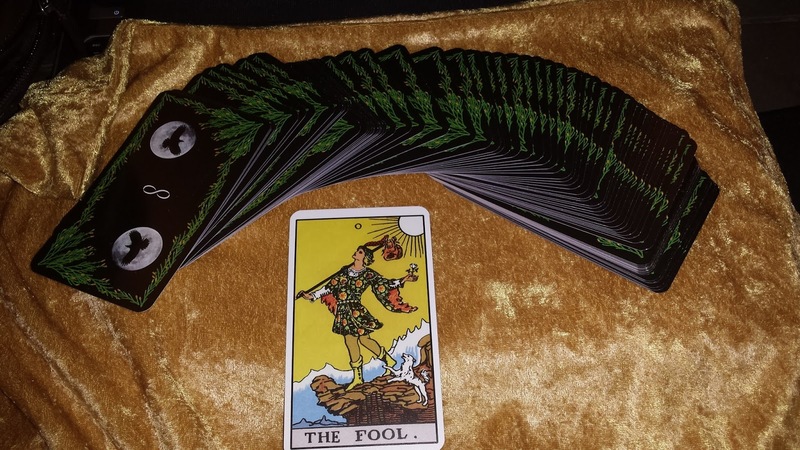 The Fool represents our Being, who we are at our core without constraints, without limits. Many world views, especially the mystical and esoteric, discuss the limitless potential of our Being and proclaim a path for unleashing this infinite power. Ironically, there is much striving to just let go and be that Infinite Divinity that we really are. Even though I don't know what our ultimate Beingness is (I haven't arrived there yet and haven't met anyone I'm convinced has either), I do believe in our potential and that it is much greater than we typically experience each day. I think a worthwhile goal is to progress towards this Zero state of ultimate freedom without limits or constraints. From what I have seen, our growth towards pure Being is a progression and not an event. Granted, we each experience times of rapid significant growth, but at least from my experience, I haven't seen anyone become an Enlightened One who transcends normal human experience. The wisest, most mature people I have met are still humans. Furthermore, along the way to reaching my Potential, I have found that my limits - physical, mental, emotional, spiritual - are typically a productive part of my maturing process. I don't necessarily like them, but there is an element of restraint that keeps me balanced, sane, and safe along the road of Growth. My Ego may think the restraints are a nuisance, but my Being that shines through can see their benefit. And there seems to be a natural, slow, progressive shedding of restraints and limits that accompanies growth. Conceptually, I see the "graph" of the road to maturity being one where it begins high on the structure and low on the love, but as love increases, structure decreases similarly. This pattern can be seen in many situations in life, from hiring a new trainee and seeing them grow to each of our own progressions through life. 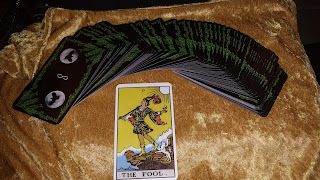 So The Fool at his core is free and limitless, but his journey in the realm of manifestation begins with many constraints, and these all play a part in perfecting a mature manifestation of Being. So instead of despising the limits of this current phase of our lives, we can embrace them as a good and necessary part of the journey.